JUNE 8, 2018 – Pasadena Community Gardens Conservancy today announced a $42,000 grant to the Pasadena Unified School District (PUSD) to underwrite the 2018-19 salary of a full-time School Gardens Manager for the 16 educational food gardens located at PUSD school campuses. These award-winning gardens help to improve family health and nutrition, enhance science education, and help increase parental involvement in the public schools. “We are delighted to partner with Pasadena Community Gardens Conservancy to provide school gardens that extend learning outside the classroom and bring families, schools, and the community together,” said PUSD Superintendent Brian McDonald. The Conservancy, known as PCGC, was founded in 2012 as a fund of the Pasadena Community Foundation. 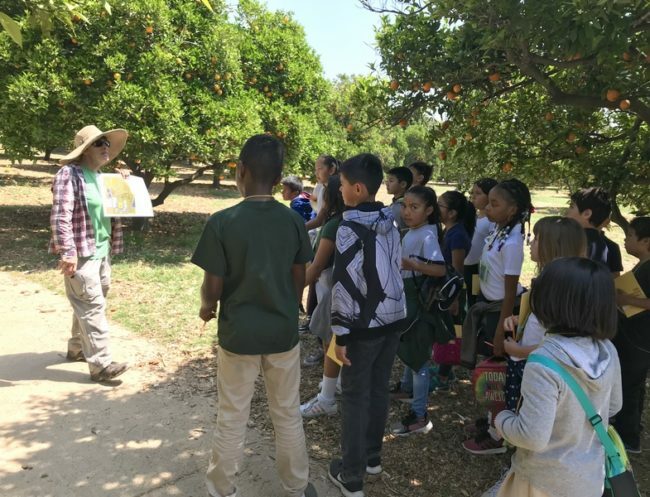 Donations from individuals and institutions steward school and community gardens throughout Pasadena, chiefly those serving the low-income minority children and their families who are concentrated in Northwest Pasadena and in the public schools. In five years, PCGC’s nearly $200,000 in donations have helped build school gardens at Madison and Franklin Elementary Schools; at Washington STEAM Magnet Academy, a middle school; and at Pasadena High School. In 2014, in a public-private partnership with then-Fifth District County Supervisor Michael Antonovich and then-Pasadena Mayor Bill Bogaard, the Conservancy helped create the city’s first garden at a community center, the Villa-Parke Community Garden. PCGC, a fund of the Pasadena Community Foundation, is underwriting a School Gardens Manager at PUSD’s 16 school gardens for the 3rd year in a row. 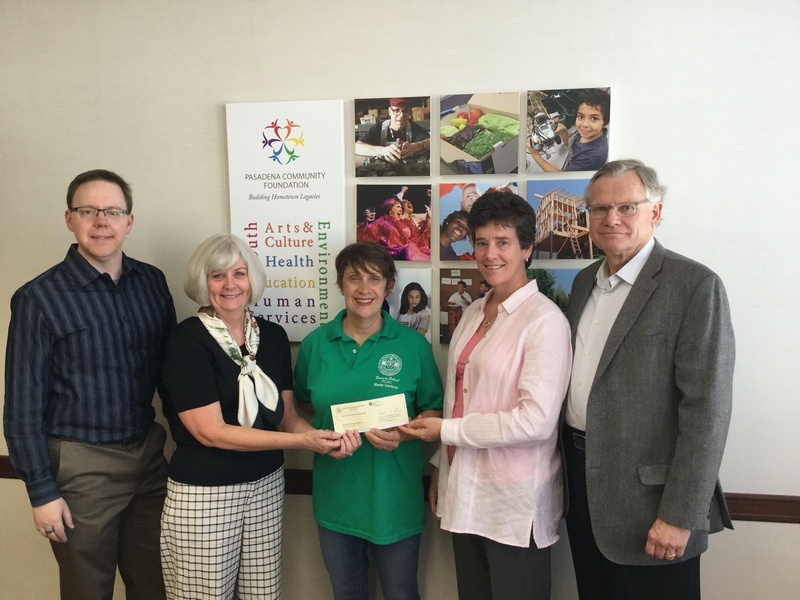 L to R: Mike deHilster, PCF Program Officer; Elizabeth Matthias, PCGC Chair; Jill McArthur, School Gardens Manager; Ann Rector, Director of PUSD Health Programs Dept. ; Charles Read, PCGC board member. 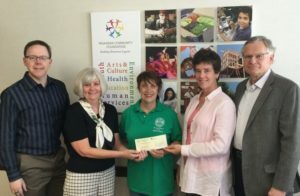 “I’d also like to extend our thanks to the Board and staff of the Pasadena Community Foundation, and especially to President & CEO Jennifer DeVoll, for advising and encouraging our organization since 2012,” Ms. Matthias added. Pasadena Community Foundation improves and enriches the lives of people in the greater Pasadena area through commitments to: Provide grants and services to strengthen community-based organizations; promote and participate in community partnerships; enable donors to meet their philanthropic goals; and serve as a leader and catalyst to build charitable funds emphasizing permanent endowments to fund grants to local organizations.